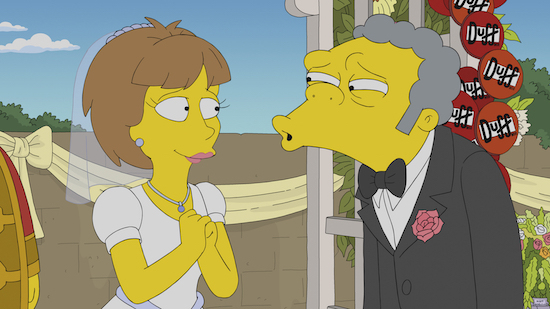 THE SIMPSONS: It was obvious Moe’s relationship wasn’t going to work out, but poor Moe couldn’t even get a fake relationship right…she had to be a con artist on top of everything. Moe episodes tend to be really, really, really rough for me—that talking bar rag episode still makes me cringe—but this one was at least enjoyable. SUPERGIRL: Ugh, James, what are you doing??? Obviously Agent Liberty isn’t walking around revealing himself, but it’s a shame James is falling for the shtick. Also, Kara, never read the comments on a controversial piece. You aren’t new to this journalism thing! CHARMED: With the sisters altering the timeline, it’s a big, big swing. On one hand, it’s ambitious for the show and should be really good for concrete consequences the sisters will have to contend with, now that magic is in their life. On the other, this is basically a card you can’t unplay, so I hope it doesn’t fundamentally change the show too much. Mel’s reasoning for wiping out Niko’s memories make sense, but it feels like an awful torture to put yourself through. FAMILY GUY: Given how mean everyone is to Meg, it was hilarious to watch Stewie and Brian try to make her life better. But, hey, she got to dump Kevin, so that was a win for her.